This sleeve looks extreme enough to tell its own story. 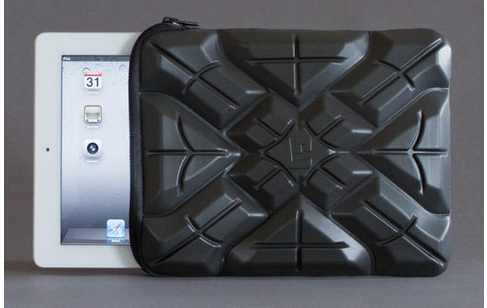 The Extreme Sleeve for the iPad and iPad 2 made by G-Form is so tough that it can protect your iPad from being crushed by a falling bowling ball. It's also flexible, lightweight and made from a water-resistant material. Shipping starts May 2nd and you can pre-order one in black or yellow for $59.95. Tough enough?